WildFIRE PIRE is a National Science Foundation five-year project that is an international partnership coordinated by the Montana Institute on Ecosystems and Montana State University that focuses on the causes and consequences of fire in the past, present, and future. Scientists from research universities and agencies in the United States, Tasmania, and New Zealand have combined efforts to compare how past fire occurrences have influenced climate change and what these patterns can tell us about the future. 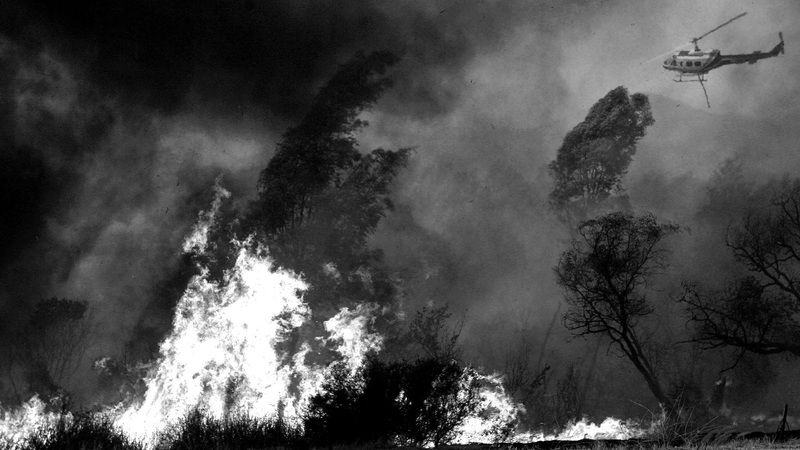 With the primary areas of study in the Yellowstone Ecosystem, Australia’s Tasmanian conservation areas, New Zealand’s forests, and Patagonia’s wild places, the project is exploring how wildfires, which are often devastating, are related to climate change. What is the fire history of New Zealand’s unique landscape? Fire scientists from around the globe converge on New Zealand’s many lakes extracting sediment cores that tell the story of New Zealand before and after the arrival of Maori and European settlers. WildFIRE PIRE (Partnerships in International Research and Education) is an international partnership focused on the causes and consequences of fire in the past, present, and future. This partnership includes scientists, educators, and fire specialists from: Montana State University, University of Colorado, University of Idaho, Salish Kootenai College, USDA Forest Service, Australian National University, University of Auckland, University of Tasmania, Landcare Research, and Monash University. The project also involves research and land managers from US and foreign non-profit conservation organizations, who are providing internship experiences for undergraduates and timely fire information. The expertise of the team includes scientists working on fire history, fire ecology, fire climatology, fire management, cultural anthropology, biodiversity and fire conservation, and invasive species. The team also includes specialists in natural history filmmaking and outreach, international education programs, project assessment, and data management. More information and videos may be found at www.wildfirepire.org.